In this work, rice straw (RS) as an abundant biomass was chemically thermoplasticized through alkali pulping and benzylation reactions, which destroy inter- and intra-molecular hydrogen bonding of the lignocellulosic constituents and dissociate the cellulosic component of RS from lignin. Two different products of RS benzylation process including benzylated pulp (BP) and pulping liquor (BL) rich in cellulose, with the former, and lignin, with the latter, were incorporated into poly(lactic acid) (PLA) using a twin-screw extruder. 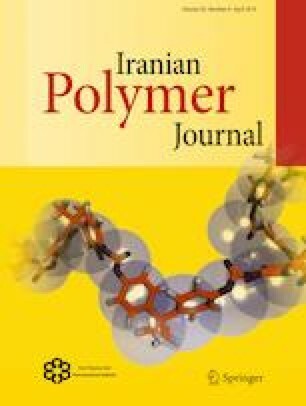 By substituting the hydroxyl groups of the lignocellulosic constituents with non-polar benzyl groups, the filler/PLA interfacial adhesion was improved considerably in which no evidence of debonding was observed on cryofractured surfaces of the PLA/BL composites. Indoor soil biodegradation test was performed on samples for 128 days and their weight loss, water uptake, visual observations and crystallization were investigated. While PLA sheets showed negligible deterioration and roughly kept their whole weight, the PLA biocomposites demonstrated considerable degradation after soil burial test due to the higher water absorption, lower glass transition temperature and larger biodegradation rate of fillers. The modified pulping products of RS showed a higher thermal stability than their thermoset-like predecessors. The non-isothermal DSC results demonstrated that the addition of BP and BL particles to PLA reduced the glass transition and melting temperatures of the matrix and resulted in higher degree of crystallinity. The findings showed that RS pulping and benzylation reactions successfully led to more effective fillers for PLA than rice straw. The authors are extremely grateful to Ms. Saberikhah for performing the DSC experiments.